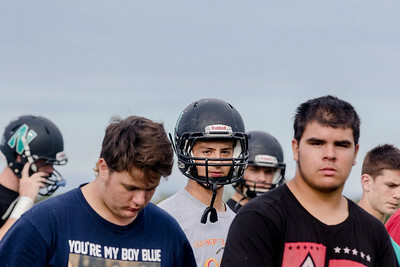 Sarah Nader- snader@shawmedia.com Woodstock North's Wolfgang Kemp during football practice Thursday, September 10, 2015. Sarah Nader - snader@shawmedia.com Wilbur Kemp (left) and his son,Wolfgang Kemp, hang out in the communal dinning area at their home at the Woodstock PADS transitional housing Wednesday, September 16, 2015. The Kemp's have been homeless ever since they lost their house nearly four years ago. They have been staying at the Woodstock PADS shelter for the past 18 months. Wolfgang plays football for Woodstock North and is also on the track and wrestling teams. 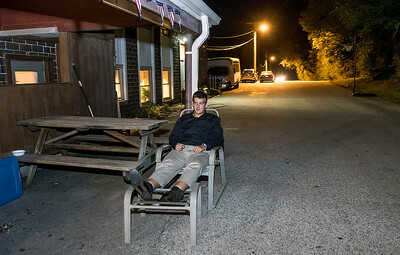 Sarah Nader - snader@shawmedia.com Woodtstock North senior Wolfgang Kemp hangs out outside his home at the Woodstock PADS transitional housing Wednesday, September 16, 2015. Wolfgang and his father, Wilbur, have been homeless ever since they lost their house nearly four years ago. Wolfgang plays football for Woodstock North and is also on the track and wrestling teams. Sarah Nader - snader@shawmedia.com Woodstock North's Wolfgang Kemp (left) and his father, Wilbur, hang out in the communal living area at their home at the Woodstock PADS transitional housing Wednesday, September 16, 2015. The Kemp's have been homeless ever since they lost their house nearly four years ago. They have been staying at the Woodstock PADS shelter for the past 18 months. Wolfgang plays football for Woodstock North and is also on the track and wrestling teams. 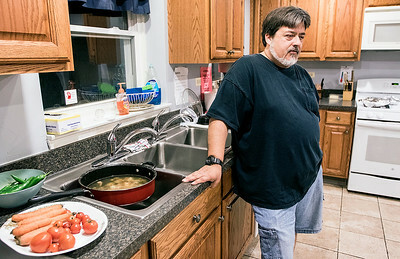 Sarah Nader - snader@shawmedia.com Wilbur Kemp talks with his son, Wolfgang Kemp, in the communal kitchen at their home at the Woodstock PADS transitional housing Wednesday, September 16, 2015. The Kemp's have been homeless ever since they lost their house nearly four years ago. They have been staying at the Woodstock PADS shelter for the past 18 months. 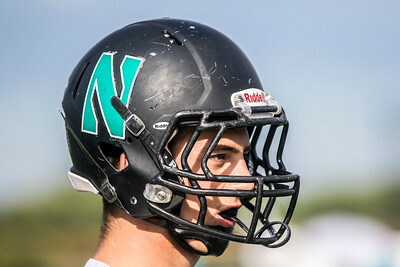 Woodstock North's Wolfgang Kemp during football practice Thursday, September 10, 2015.